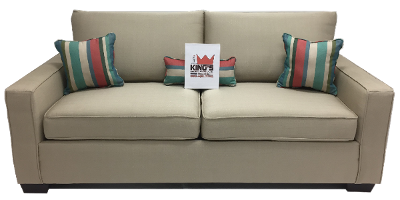 Sleeper Sofas | Destin, FL - King's Furniture & Mattress Co.Inc. 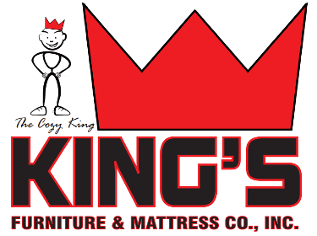 Wholesale Furniture | Destin, FL - King's Furniture & Mattress Co, Inc. The Cozy Mattress® has changed what the world thought was impossible: a REAL bed mattress in a sofa. 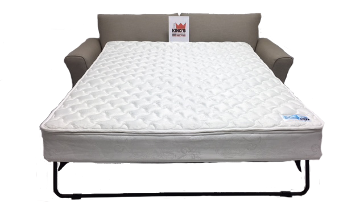 Developed over a 19-year period by the industry’s top motion designer, the Cozy Mattress® brings 8.5 INCHES of pillow-top, bed-quality comfort to the sleeper sofa, while providing unmatched seating comfort. The historical discomfort of the sleeper sofa, due to the physical limitations of the inner cavity, has been overcome by the creation of an ingenious spring system in the Cozy Mattress® . 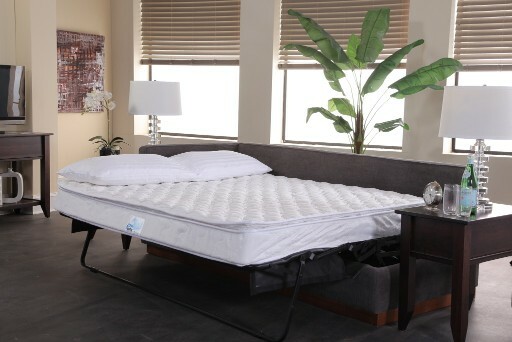 The Cozy Mattress® is available in queen, full, and twin sizes. The Cozy Mattress® has changed expectations for both the hospitality industry and for their guests. Guests have come to expect premium comfort and having a Sleeper Sofa with a Cozy Mattress® inside ensures your guests meet their expectations. • Superior Guest Experience – Puts you in the forefront of repeat business. • Durability - Our mechanisms are commercial grade. They are GSA tested/approved and come with a 5-year limited warranty in North America. Fewer broken mechanisms lowers down room time and increases annual revenue. The Cozy Mattress® bed system can be found in several popular domestic and international hotels.